lightning bolt has been obliterating ear drums while fastidiously adhering to the principles of its minimalist composer heroes for over twenty years now. the providence, rhode island duo of brian gibson (bass) and brian chippendale (drums, vocals) crafted an instantly recognizable – and punishing – sound over the course of five home-recorded albums and a relentless touring schedule, one that finds itself noticeably polished and enhanced on their latest effort, fantasy empire. the album’s opener and lead single, “the metal east,” initially presents itself as the duo’s typical auditory blitzkrieg: gibson’s bass lines alternating octaves at dizzying speeds to flesh out lightning bolt’s harmonic palate while chippendale pounds his kit into oblivion and sings incoherently through his heavily-processed microphone. but one can already discern subtle tweaks to the aesthetic, like how chippendale’s drums cut through the mix even more so than usual, and how the low end of gibson’s register resonates to new depths on the song’s breakdown. these nuances are the byproduct of the duo’s first outsourced recording experience, though it remains unclear as to whether they are ultimately helpful or a hinderance. it feels more like a mixture of both. the balanced levels make the act of listening itself a much more enjoyable activity, but lightning bolt does forfeit a sliver of raw energy as a result. that energy is refocused as sheer power, however; churning songs like “horsepower” and “mythmaster” are absolute behemoths, in part because gibson’s low-end rumbles are incredibly discernible, and the band further supplements tracks across fantasy empire with dizzying synthesizer melodies like the one found on the back half of “king of my world.” still, a shred of that impromptu nature and urgency that defined the duo’s earlier work is lacking, and it shows. fantasy empire also charts lightning bolt’s evolution of songwriting. on the bulk of earlier releases like 2001’s ride the skies and its follow-up wonderful rainbow, the duo seemed appropriately content to let one or two concrete melodic ideas bombard their audience before moving on to a new thought. this formula worked well because it was augmented by chippendale’s frenetic drumming – often a lead line of sorts by itself – and the extra contour of his vocal lines. chippendale seems to have less to say throughout fantasy empire, instead allowing gibson to further develop his own melodic ideas. sometimes this works well; the aforementioned “mythmaster” is a wondrous display of gibson’s virtuosity on the bass guitar, and both “the metal east” and “runaway train” segue with ease and logic between a plethora of riffs. by the same token, there are moments where this approach yields a bit too much bravado. 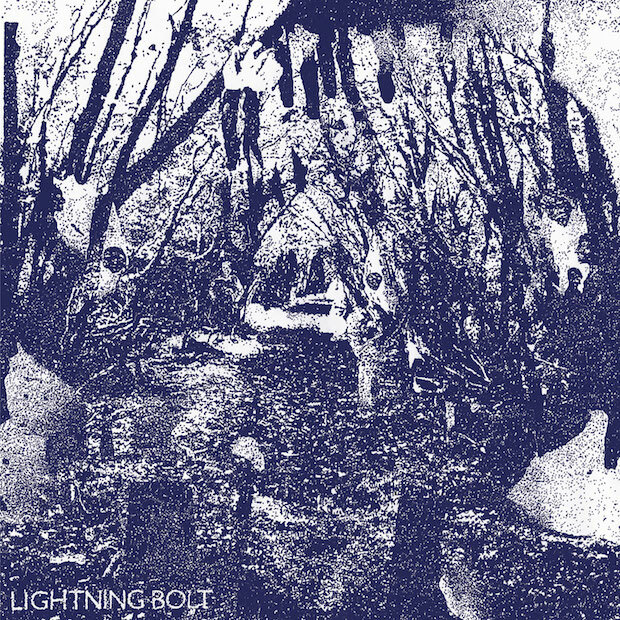 the prog-indebted “over the river and through the woods” is one of the most self-indulgent and downright formulaic songs in lightning bolt’s catalogue, and it blows itself out rather quickly. despite a few missteps, fantasy empire is a very worthwhile album that certainly holds its place in the lightning bolt canon. the songs largely reflect the duo’s appreciation of polished, technical metal riffs and, as a result, sacrifice some of the white noise definitive of their earlier work. to that end, fantasy empire also showcases gibson and chippendale at their wisest and most patient, willing to spend the extra time and dime to craft their most sonically adventurous effort yet. Next article listen to a new song from astronauts, etc.